Outgoing Republican Sen. Jeff Flake warned Americans during his farewell speech Thursday that no country is resistant from being overtaken by a tyrannical government. The embattled Arizona senator has often taken shots at Trump. 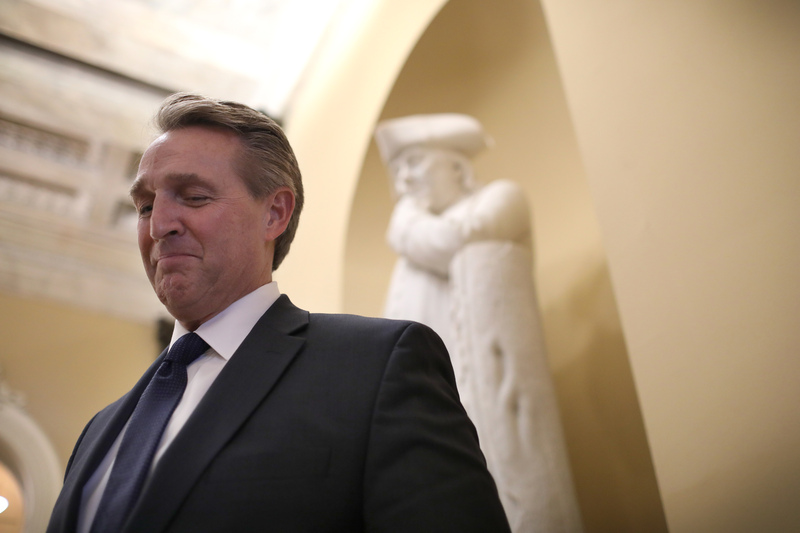 In March, Flake called the president “a figure who has a seemingly bottomless appetite for destruction and division,” and months later asserted that he may be a “long-term detriment to the [Republican] Party.” During his final speech, he seemingly returned to the same themes by continuing to criticize Trump without mentioning him directly by name. “I believe that we all know well that this is not a normal time, that the threats to our democracy from within and without are real, and none of us can say with confidence how the situation that we now find ourselves in will turn out,” Flake said during the speech. “As the authoritarian impulse reasserts itself globally, and global commitment to democracy seems to now be on somewhat shaky ground, I have been thinking a lot recently about the American commitment to democracy – where it comes from, and how, if the circumstances were right, it might slip away,” he continued. He concluded his final floor speech with a sentiment from former President Abraham Lincoln and expressed his hope that congressmen will always remember those words.